Twenty-two years after singer-songwriter Madeleine Petytroux released her debut album Dreamland in 1996, she recently returned with her eighth album Anthem. It’s the much-anticipated followup to her 2016 album Secular Hymns which was released to plaudits and praise. Just like Secular Hymns, Anthem finds Madeleine Petytroux breathing life, meaning and emotion into twelve new songs. This is nothing new for Madeleine Petytroux during a three decade career. Madeleine Peyroux was born in Athens, Georgia, on the ‘18th’ of April 1974, but began her musical career as a teenager singing jazz and blues on the streets of Paris. This was Madeleine Peyroux’s musical apprenticeship, and in 1996 the American jazz singer and songwriter released her debut album Dreamland. It was a tantalising taste of what as to come from twenty-two year old Madeleine Peyroux. Just two years later Madeleine Peyroux returned with Half The Perfect World in 2006, which featured covers of songs by Tom Waits, Fred Neil and Leonard Cohen. Critics were won over by Half The Perfect World, and the followup Bare Bones in 2009. It featured eleven songs which Madeleine Peyroux wrote with various songwriting partners. Madeleine Peyroux was already being hailed as one of the most talented singer-songwriters of her generation. This was confirmed by the release of Standing On The Rooftop which was Madeleine Peyroux’s 2011 debut for Decca. Madeleine Peyroux had written the majority of songs on Standing On The Rooftop as she pushed musical boundaries and tried to change people’s perception of her music. Two years later in 2013 Madeleine Peyroux released The Blue Room to widespread critical acclaim. Her followup to Standing On The Rooftop was hailed as one of her finest albums. The following year, 2014, Keep Me In Your Heart For A While-The Best Of Madeleine Peyroux was released by the Rounder Records. It was the perfect introduction to Madeleine Peyroux who returned in 2016 with her seventh studio album Secular Hymns. It was a vibrant and soulful album that featured everything from funk, blues and jazz as Madeleine Peyroux showcased her talent and versatility. Critical acclaim accompanied Madeleine Peyroux who was celebrating twenty years as a recording artist. Just two years later Madeleine Peyroux returned with her eight studio album Anthem, which features twelve new songs with strong narratives that are poignant, ironic, full of pathos and social comment. The songs on Anthem found Madeleine Peyroux collaborating with various songwriters and musicians. This included Patrick Warren who previously has worked with everyone from Bob Dylan, Bruce Springsteen, Bonnie Raitt, JD Souther, Bob Dylan, Bruce Springsteen and The Red Hot Chilli Peppers. Madeleine Peyroux also joined forces with Brian MacLeod who has worked with Leonard Cohen and Tina Turner. David Baerwald who has worked with Joni Mitchell and Sheryl Crow was Madeleine Peyroux’s other songwriting partner and when it came time to record Anthem, her three songwriting partners became her rhythm section. This talented trio provided the perfect foil to Madeleine Peyroux. Recording of Anthem began during what proved to be the crucial period of the 2016 US elections. Madeleine Peyroux and Larry Klein who cowrote and produced Anthem watched as events unfolded before their very eyes. They knew if they were going to comment on what had happened that didn’t want to come across as preaching to the listener. Instead, Madeleine Peyroux and her collaborators penned twelve songs which looked at subjects including the then political landscape and the singer’s personal life. Other songs combine what’s going on in the outside world with their personal lives, and this resulted in songs tinged with humour and empathy. 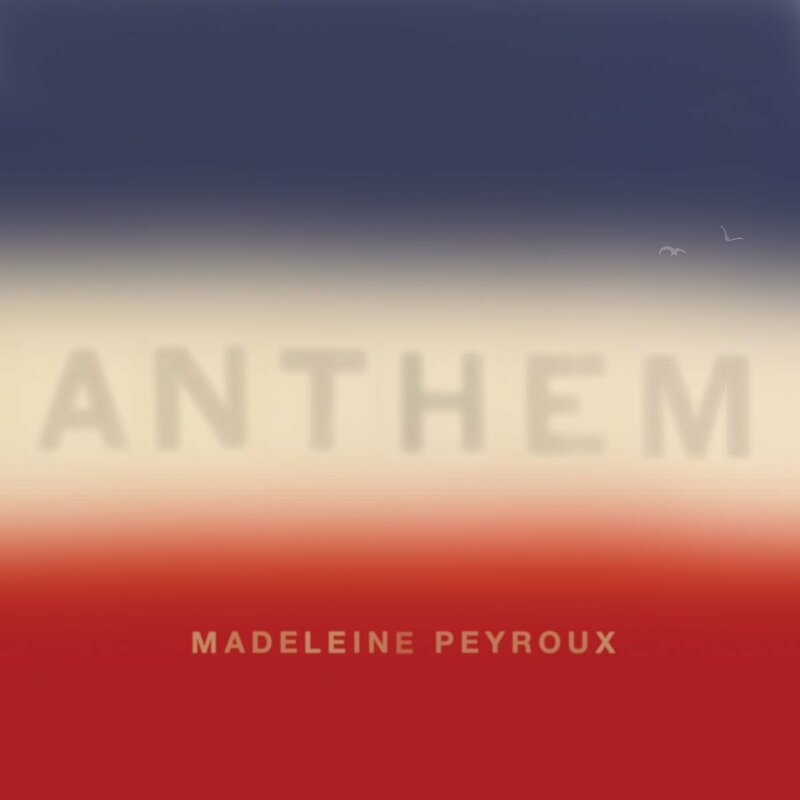 The result was Anthem an album that was a sobering, philosophical and poetic assessment of the world today as seen through Madeleine Peyroux’s eyes. Part of the success of the album was Madeleine Peyroux and fellow songwriters sitting together in one room, as they considered idea for Anthem. This proved to be a masterstroke as each member of the team came up with ideas for Anthem. This included the sadness felt by David Baerwald’s after the passing of poet John Ashbery. The loss resulted in thoughts of hugely admired figures lost over recent years and resulted in the song All My Heroes which pays tribute to pioneers and innovators who although they: “light fires in the shadows,” have a degree of vulnerability that makes them human. Opening Anthem is the jazzy and wistful sounding On My Own, which is the strongest track on the album and features Madeleine Peyroux at her best. There’s a poignancy to Down On Me which deals with the financial problems that many people are currently experiencing. The rueful bluesy Ghosts of Tomorrow is a tale of dreams unfulfilled, while The Brand New Deal full of powerful and scornful social commentary. There’s also two cover versions on the album, including a soulful rendition of Anthem penned by Madeleine Peyroux’s hero the late, great Leonard Cohen. Closing Anthem is Paul Eluard’s World War II poem Liberté, which is a sobering and thought-provoking way to close Madeleine Peyroux’s eighth album. Anthem which is primarily a jazz album which sometimes heads in the direction of blues is without doubt one of the finest albums of forty-four year old Madeleine Peyroux’s twenty-two year recording career. It’s a carefully crafted album, which was honed by a small but talented band and together, they have created the finest album of Madeleine Peyroux’s Decca years. Quite simply, Anthem is a truly ambitious album and sets the bar for future albums from Madeleine Peyroux. The twelve tracks are variously beautiful, cerebral, sobering and full of social comment while others reflect on loss and love and are thought-provoking and wistful. Anthem features Madeleine Peyroux back to her very best on what’s without the finest album of her Decca years, and quite possibly her finest album since her 2004 breakthrough album Careless Love. I discovered Madeleine last year. I think she’s great. I’ve some catching up to do.